Several catalysts have brought the price of gold down; here are a couple of ways to get in at discounted prices. What to Do About Those “Safe” Retail Stocks? How is Tennis Like Trading? On Monday, Paul Goodwin discussed the panic that sparked a greater than 2% decline in the markets on Monday. So how do you protect your portfolio from a pit bull and a swarm of bees? There are many ways to sell market volatility on both individual stocks and the major indexes. 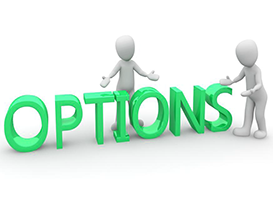 Options are derivatives of stock and their prices are very strongly related to the amount of volatility in their underlying stocks.